This event is over! To see what went on during the event, check our event post! Looks like all that thinking from Shuyi’s last Acroyoga session has materialized into something more. 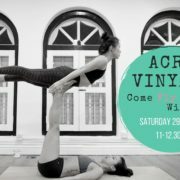 We’re super excited to announce our first ever Acroyoga Workshop! 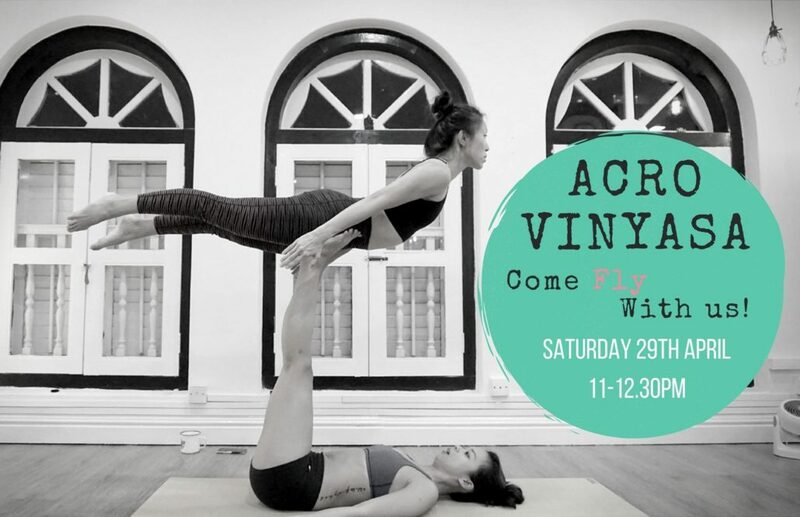 It’ll be held on 29 Apr 2017, a Saturday, and based on Acrovinyasa – a variant which unites elements from acroyoga and vinyasa flows. It’ll be conducted by Acrovinyasa certified instructors Sara Wee and Rachel Ng from The Yoga Mandala.